A favorite red from Spain is back! 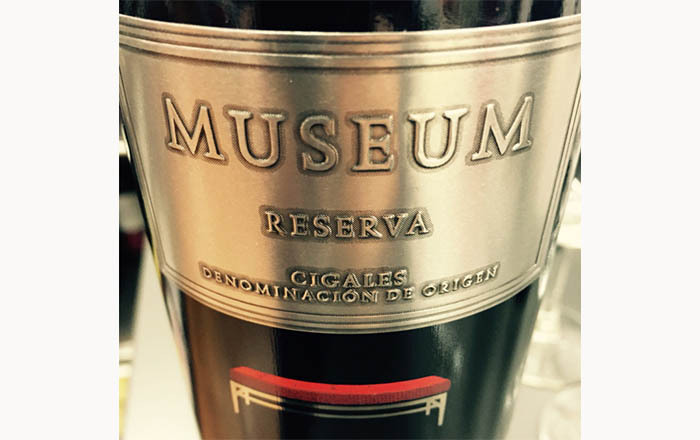 If you’re not especially familiar with Tempranillo wines (like this Museum Reserva), the flavor is more delicate than a Cabernet, and very similar in profile to a Pinot Noir. Despite their softness in comparison to a Cab, Tempranillos can be bold, as well. Especially this one, due to the 60-80 year-old vines from which the grapes are harvested. At $20 a bottle, it punches well above its weight. Faith describes Museum—a perennial favorite of hers—as juicy and sporty (thanks to a joyous bing cherry note) yet, it has an elegance, too. It’s spectacular with food. Think: a cheese plate with Manchego, Jamón ibérico, olive oil, some good bread, or sipped on its own. Ask your wine shop for the 2012 vintage when you call ahead to order. Brescome Barton is the distributor.